It’s all go at Real Madrid! Los Blancos did at least stop the rot in the league with a fortuitous victory over Real Valladolid, the second-half introduction of Vinicius Junior seeming to be the spark the hosts needed to get the job done. The young Brazilian is already being hailed as Real’s saviour, but let’s not get ahead of ourselves here. His ‘goal’ was actually a shot that was heading towards the corner flag before it took the biggest of deflections to find the corner of the net. Yes, he was direct, sharp and lively in his cameo, but that’s a pre-requisite at a club like Real Madrid. The whole team need to pick up that particular baton if they want to turn their fortunes around. Of particular concern to temporary (and perhaps soon-to-be permanent) coach, Santiago Solari, will be the form of Gareth Bale and Karim Benzema. Their consistent failures in front of goal should really see them dropped. There are other fires to put out at the Santiago Bernabeu too of course, but perhaps a period of calm is what’s called for now. After all, a couple of league wins and Real are right back in the mix. They’ll certainly be glad to be playing a Celta Vigo side who are often the most accommodating of opponents. The Galician’s have always scored when this fixture has been played at Balaidos but have only managed one win at home vs Real (excluding the Copa del Rey) in the last eight meetings, stretching back 12 years. Having scored in every match bar one this season, Antonio Mohamed’s team will be confident of registering again, but one win in the last nine tells its own story. 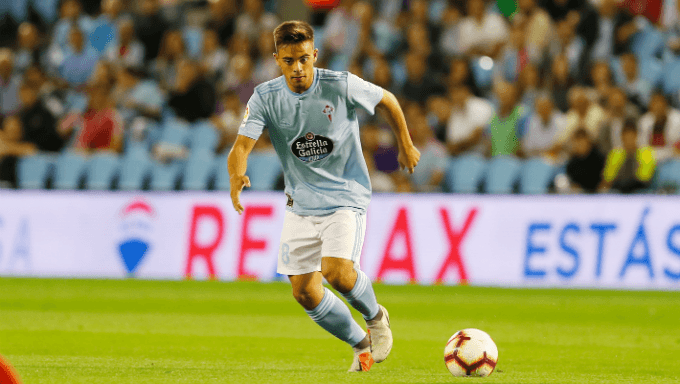 As noted above, Celta don’t have any issues with putting the ball in the back of the net, and Iago Aspas and Maxi Gomez are the pairing who are generally looked towards for this purpose. Real’s defence is still likely to be depleted through injuries, but as we saw against Valladolid, the visitors should be able to keep Celta at bay for the most part. Sergio Reguilon certainly showed himself to be a fine replacement for Marcelo. As the ‘new’ Madrid still find their feet, conceding isn’t a calamity, especially when, from Solari’s point of view, goals will be going in at the right end. In all but two of their games this season, the Galician’s have scored in the second half, and Los Blancos will wear any La Liga team down eventually. Both teams to score in the second half is at 11/8 with Ladbrokes and looks a fairly safe bet. A lot had been made about Real’s inability to score, rightly so as it extended past four games, however, since ending that unwanted record Los Blancos have registered in all five of their games. Messrs. Bale and Benzema need to restore confidence and the Frenchman has at least been getting in the right positions, even if his radar has been a little off. With Vinicius now looking likely to put pressure on the front line, this should have a galvanising effect. Nothing like the threat of losing your place to see your form return. Even if another 90 minutes passes without a goal from the pair, Real have enough about them at set pieces and otherwise to do some damage. A comfortable 3-1 victory (at 10/1 with 888Sport) will send the all-whites into the international break with their tails up. It seems clear at this stage that Santiago Solari will take the managers job at Real Madrid if it’s offered to him. That’s far from a foregone conclusion and odds on him staying in the post or someone new being brought in can be found below. What’s clear is that the mood around the camp has changed to a much more positive dynamic, with Real’s players already responding to Solari’s methods. Coining the adage ‘if it ain’t broke, don’t fix it,’ Florentino Perez will have a difficult time convincing players and board members to go for a new incumbent on the bench if, as expected, Solari oversees another win at Balaidos. For the visitors to win by two clear goals, you can get good odds of 15/4 with Bet365, and such a victory can only enhance Solari’s credentials. At present, there are a number of names in the frame to take over at Los Blancos, after Julen Lopetegui was, unsurprisingly, given the old heave-ho by trigger-happy president, Florentino Perez. Solari has been seen by many as a stop-gap, but in his favour is that he’s played for the club at the highest level and coached at youth level. Indeed, it was his name rather than Zinedine Zidane’s that was used on the official paperwork when the latter was supposedly in charge of Castilla, Real’s reserve side. He’s working with the players who are all singing to his tune at present, so it’s little wonder that he remains the 11/10 favourite with William Hill. Former Chelsea man, Antonio Conte, a big front-runner in the wake of Lopetegui’s sacking, has drifted out to 14/1 with Bet365, the same price as Leonardo Jardim. Roberto Martinez is 3/1 with Betfair, whilst Tottenham manager, Mauricio Pochettino, who is known to want the position, is at 13/8 with Bet Victor. Perez doesn’t have long to make his mind up as current rules state that a ‘temporary’ manager can only be in charge for 14 days before being offered a contract or leaving the role to someone else.